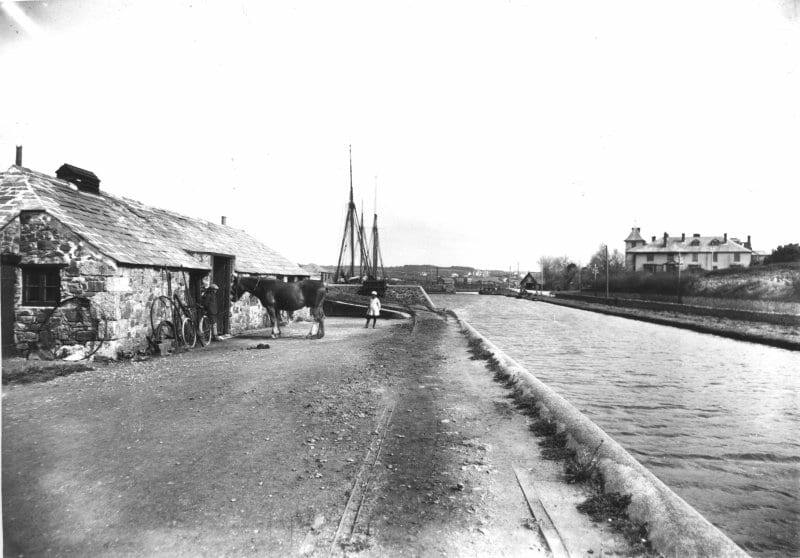 Historically, Bude’s Lower Wharf was constructed to allow sailing vessels into the Lower Basin. 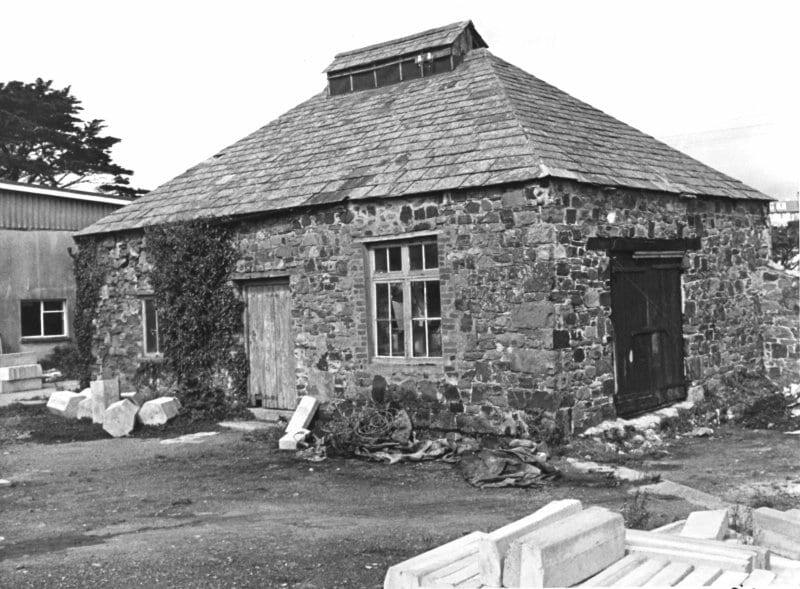 Back in 1923 the area was a hive of activity as people went about their daily business from the surrounding warehouses that supported the workings of the Bude Canal. Today, the use of the buildings may have changed, but the Lower Wharf area is still a buzz with people who now enjoy the delicious food both on and off the water from the many cafes and restaurants. Designer makers demonstrate their craft skills and sell beautiful handmade gifts or if you’re feeling energetic you can hire a rowing boat or pedalo and take to the water. For those wanting a gentler approach, a short flat walk will take you from Falcon Bridge along the side of the canal towards Bude Lock Gates (which are still in operation today) through the harbour and onto Summerleaze Beach. There are plenty of seats to stop and rest a while and watch the world go by with a picnic or an ice cream. If you’re interested in the Bude Canal, grab a copy of the Canal & Coast Circular Walk. It’s a lovely 5 1/2 mile walk along the canal and back along the coast path. If you would prefer to avoid the coast path, its a 40-minute walk along the tow path, and you can return along the cycle path. On leaving the Bude Tourist Information Centre (1), follow the canal (make sure the water is on your left) to the road bridge (Falcon Bridge) (4). The Get Your Veg On trailer (2) is open for food and drink during the season. Historically, Falcon Bridge (4) was a fully-operational swing bridge which allowed the passing of boats. On the other side of the canal you’ll see the Old Lifeboat House (3) which is now four lovely holiday apartments. The Brendon Arms (5) and Falcon Hotel (6) are to your left. If you pop in for food or a drink, you’ll learn about their history and see a display of old photographs and pictures on the walls. Turn to your left as you leave these establishments and take Church Path to St Michael’s Church (7). Built in 1834 – 35 and donated as ‘a gift to the people of the place’ by the Lord of the Manor, Sir Thomas Dyke Acland. There are some interesting headstones in the graveyard, including shipwrecked sailors and Pamela Colman Smith who illustrated the famous Waite-Smith Tarot. Return to the Falcon Hotel (6) and turn left along Breakwater Road. A few of the houses here are holiday cottages – including the very popular Primrose Cottage (8) and Rosehip Cottage (9). At the end of the road, take the path behind Efford Cottage (10) (the Pink House) and walk up to the coast path and Compass Point (11). You’ll be rewarded with amazing views and plenty of benches along the way. If the tide is right, you ‘ll be able to walk along the Breakwater (12) which was first built in 1819. The structure you see now dates back to 1839 following storm damage to the original. At the end of the Breakwater you’ll see Chapel Rock (a Chapel was sited here in the Middle Ages). This hermitage, dedicated to the Holy Trinity and St. Michael in 1400, housed a light that was used to guide vessels safely into the harbour. Bude’s name was originally recorded as ‘Bede’s Haven’ and is thought by some to be derived from ‘bede’, an old Saxon word with religious connotations. Head back and cross over the Bude Canal Sea Lock (14) (which is one of only two in Britain), and if the tide is right, you can walk over the little footbridge onto Summerelaze Beach (13). You will find rowing boats and pedaloes for hire at The Boat House (18) if you would like to explore the canal a little further inland. Do call into the Atlantic Glass Studio (17) and Daisy Crafts (16) and browse. You’ll find plenty of unusual gifts and crafts. Cutting through past the Fire Station you will see the Bude Light sculpture (24), a conical shaped structure set in front of the Bude Castle Grounds (23). Bude Town Band perform free concerts at the Band Stand on a Sunday afternoon during the summer. Walk through the gardens and spend some time in The Castle Heritage Centre (25) and learn about Bude’s interesting history and the significance of the Bude Light. There’s a cafe in the castle with views towards the Breakwater. On leaving The Castle, head left and walk towards the river and Nanny Moore’s Bridge (26). If you follow the road past the Community Orchard (29), you’ll come to Mallard Cottage (31), a popular holiday cottage overlooking the River Neet. …If you would like to explore the Town Centre, cross Nanny Moore’s Bridge (26). Nanny Moore was a ‘dipper’ who helped Victorian ladies to bathe whilst protecting their modesty! You may notice the bridge arches are not even. This is because there was once a waterwheel on the side of the house which was once a bakery (you may spot the oven in the opposite wall). From here you can walk into the Town Centre by passing the lovely restaurant called Temple (27) and walking up the slope to the left. Make your way back and cross Nanny Moore‘s Bridge (26) returning to the Lower Wharf area. Now complete the circuit by following the road (you’ll see the river to your left). Depending on the day of your visit, pop into the indoor Artisan Market (28) held every Saturday morning throughout the year. You’ll see the new Community Orchard (29) and head to Shalder Hill and see the War Memorial and our weather station (30). This is a great place to sit and enjoy the view. Head back to the Bude Light (24) and walk over to the canal. For food and drink, head to The Olive Tree (20), The Barge (15), Get Your Veg On (2), Brendon Arms (5) or Falcon Hotel (6). It’s well worth spending some time browsing the craft units – Beau Nidol (21) and The Kitchen Front (22). Both offer popular craft sessions. Depending on the time of year, you’ll see our weekly Friday Farmers’ and Craft Market (19) (Easter to September). If you still have some time to spare, there’s a large seating area within the Tourist Information Centre – you’re welcome to sit a while with a coffee! Returning to the canal area, you will find The Barge (15) (this lovely floating eatery changes position in the winter so may be located by the Boat House (18).